Bees are important because they pollinate multiple plants and even various vegetables. Also, bees make honey and who could live without honey? 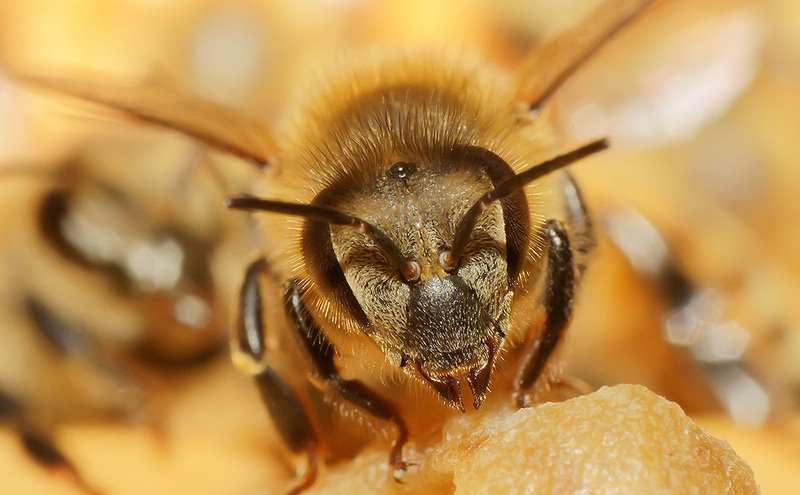 Although bees are so fantastic they are slowly disappearing for a lot of unknown reasons. I focused on the anatomy of the bee because I loved dissecting the cat so I figured that would be right for me. I created a display of different part of the bee and you could see a little description below. I also had a microscope to see up close part of the bee. I Dissected a cat. I chose to dissect a cat because it was most points and I love anatomy, also I heard it was closest to human digestive system. 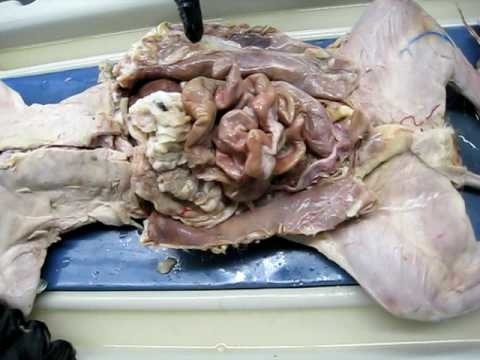 What I learned about my animal is that the insides are very similar to humans. I also learned the basic anatomy of a cat. You can truly do anything you want to your body weather its get tattoos or coloring your hair in some cases you could change your name to something like Bojo Jalfy, but what doesn’t change is our fingerprints. The patterns that are visible on our fingertips when we’re born are the same patterns we have for our entire lives and won't ever change. Also since no two of us have exactly the same fingerprints, not even identical twins they are a very good way of identifying people. Archaeologists have found evidence of people using fingerprints to sign or seal business transactions and government papers for thousands of years, but the modern science of collecting, classifying and comparing fingerprints began around 1880. That’s when Dr. Henry Faulds, a British physician working in Japan, first published his research into fingerprints and suggested that they could be used for personal identification. Dr. Faulds also developed the traditional link-based method of collecting fingerprints. A ballistics analyst is an expert in the flight, behavior, physics and effects of weapons and ammunition. Ballistics analysts typically work in the field of forensics, examining crime scenes to gather ballistics-related evidence for the case. Analysts are often employed by police departments, but they can work for private agencies and non-profit organizations as well. Ballistics analysts are also sometimes referred to as firearm analysts.Ballistics also shows Details such as what kind of gun was fired, at what distance and angle, and possibly the exact sequence of events can be determined. As with ballistics, a bullet or cartridge case can be positively associated with a particular firearm to the exclusion of all others, which may be the only piece of evidence at the scene. A positive match of a suspect's firearm and a bullet or cartridge case from a scene can provide all the evidence needed for trial. In addition, the gun and the bullet can be individually analysed for a variety of factors such as tool marks and tampering. Many different elements can be studied in the field of ballistics. An ideal alternative to determining the trajectory of a bullet is to use are rods of different diameters. With the exception of hollow aluminum rods, most metals like steel, copper or brass may tend to be too heavy. Also consider wooden dowels or plastic and fiberglass rods. Photography is the first necessity so it is imperative that the crime scene be afforded absolute security. Until spent cartridges are properly recorded—all foot traffic must be banned from the area. Each spent casing should be marked using standard crime scene evidence identifiers such as “evidence tents,” placards, or similar devices. The physical location of spent casings may tell a unique story of their own. Placement of these objects results from normal ejection by the weapon and may provide limited data as to the location of the shooter, the direction of shots fired and possibly the path taken by the bullet. Ejected casings may also substantiate or refute statements from witnesses, victims or suspects. Based on the crime scene and how his head was on the ground and the bullet went through his arm it says that he was already in the leaned over position on his desk. Also we know this because the center point from all the blood splatters went back to his heads exit wound from the laying down position. Gunpowder is thought to have originated in China in the 9th century, c. 850, Although it was not until the mid-13th century that evidence that gunpowder formulas and usage started to be imputed into in European formulas. Awhile later, instances of the use of cannons in battles were reported, and the Development of the use of the weapon as a gadget of war briskly followed. Among the years, firearms have been continuously polished. Different types of lock works and loading mechanisms have advanced from muzzle-loading matchlocks, flintlocks, and cap-and-ball arms, to what we have now, which is; self-contained metallic cartridges fired from breech-loading firearms. To start your analysis a person who is used to the type of weapon being observed should go get the weapon and clear it if need be, looking at the of the position of fired casings relative to the hammer of a revolver, the presence or nihility of a magazine in a semiautomatic handgun, the slide position or any jams seen in a semiautomatic handgun, and the place of a pump shotgun slide, with everything else that is critical. All of this instruction might have significant importance on the manner of death determining at a later date. The type of ammunition present at the scene, either in a firearm or elsewhere, should be described in detail (brand, caliber, bullet style) so that any recovered bullet can be immediately compared with what was found in the firearm at the scene. Any projectile found beneath the decedent, stuck to clothing, or other areas should be photographed and recovered at that time to prevent the possibility of loss during moving. If firearm primer residue sampling is desired, it may be collected at the scene, or the hands may be covered by paper bags before transport to prevent evidentiary loss during transport. Today, firearms have been made more accurate, and rates of fire have progressed from 2 or 3 rounds per minute in the days of muzzle-loaders to many hundreds of rounds per minute in modern automatic weaponry. Muzzle velocities of available cartridges have increased greatly, and bullet technology has been made better. Propellants have been improved, with the most striking improvement being a change from black powder to smokeless powder in the 19th century. In the present day, a wide variety of small arms are available for military and civilian use throughout the world. However, in spite of the dizzying variety of firearms in use, the wounds produced by them have many similarities within some broad categories. The gunshot wound and the gunpowder around the wound helped us determine that the shooting could not have been a suicide for the gun was held at a distance when shot. It was also determined the victim was lying down when shot therefore someone murdered him, the wound was not self-inflicted.